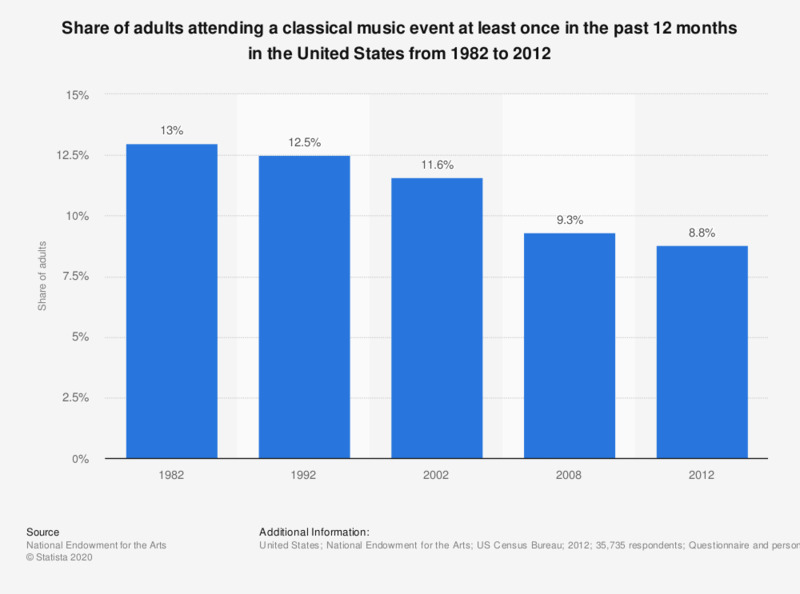 This statistic shows the share of adults attending a classical music event at least once in the past 12 months in the United States from 1982 to 2012. In 2012, 8.8 percent of U.S. adults had attended a classical music event at least once in the past year. Figures for the years preceding 2012 were taken from the corresponding surveys of public participation in the arts.